Each cd of the Meditations for Transformation series contains extended meditations. Included is a detailed description of the mudra to use in practicing the meditation. 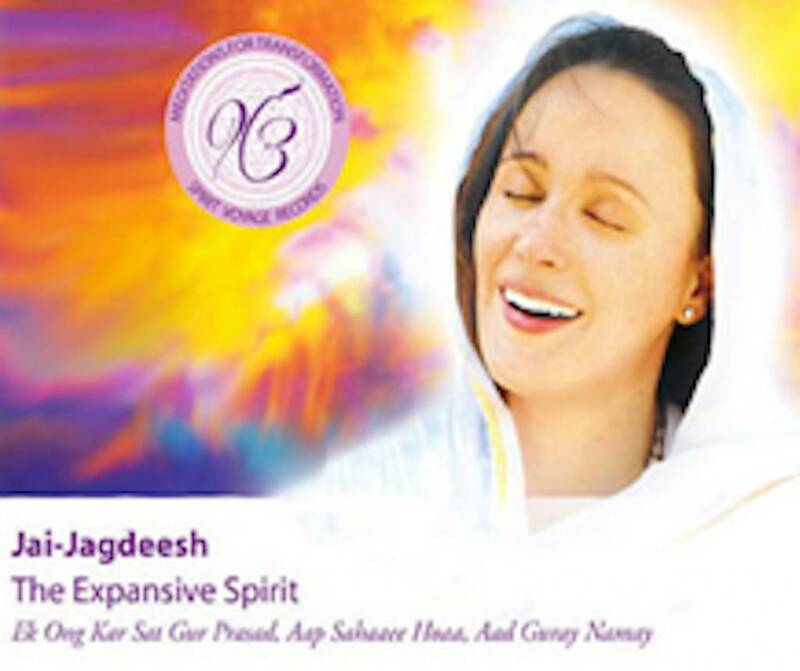 The expansive Spirit by gifted singer Jai Jagdeesh. On her Meditations for Transformation project, The Expansive Spirit, gifted singer Jai Jagdeesh takes you deep into the heart of three amazing Kundalini Yoga meditations. The first track, Expand into Intuitive Knowing - Ek Ong Kar Sat Gur Prasad, blends bluesy piano, cello, sarangi and Jai Jagdeesh’s rich soulful voice. Her beautiful voice will carry you straight to your most open meditative state. There is a unique transformative quality that she brings to these meditations. The second meditation, Expand Through All Obstacles - Aap Sahaee Hoaa, builds from the shabd she recorded on her album I Am Thine, but uses the mantra specified for this meditation in a beautiful way. As you listen and sing along, you can truly experience the divine forces which can remove the obstacles and blocks that hold you back. The final track, Expand from the Heart Center - Aad Guray Namay, is an extended version of the best-selling track Aad Guray Nameh from her album I Am Thine. Get ready to feel your heart expand to encompass the entire universe as her voice carries you on a sea of love. The Meditations for Transformation series are a beautiful offering to the yoga community. Each CD contains extended meditations for use in your practical life as a yogi. Within the packaging is a detailed description of the mudra to use in practicing the meditation accompanied by details of the benefits of doing the meditations. The goal in creating these products was to offer tools for to use to bring a daily practice of meditaiton into your lives. The basic guideline for these meditations is to try them out for at least 40 days. According to Yogi Bhajan, in 40 days you will break a bad habit, in 90 days you will create a new positive habit, and by 1000 days you will experience mastery. Create a sacred space in your home where you can practice on or both of these meditations.